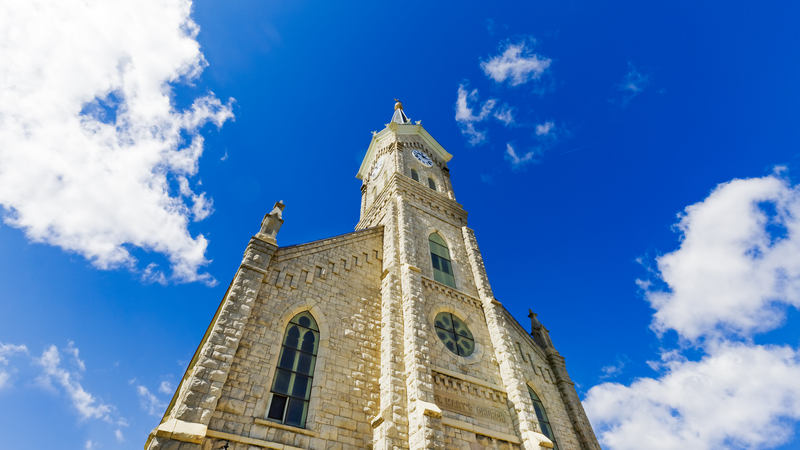 This is the first of three images of St. Mary’s Catholic Church, Port Washington, WI. We paid our first visit to this beautiful lakeside community a couple of months ago where this church majestically watches over the town from its hilltop location. Beautifully photographed, towering over everything. This is a truly outstanding picture! Well done!